Today, when you order "Mindsight (Book and Gimmicks) by Andreu - Book", you'll instantly be emailed a Penguin Magic gift certificate. You can spend it on anything you like at Penguin, just like cash. Just complete your order as normal, and within seconds you'll get an email with your gift certificate. This is powerful and direct mentalism that looks and feels real. The mentalist reminds the audience about the popular 20 Questions game, in which a computer asks people twenty questions in order to read their minds. He proposes to do the game with a female spectator chosen at random from the audience, who is asked to mentally pick one item among approximately 40. The participant conceals a coin inside one of her hands, depending on the answer to each question the performer asks her about her chosen item. Finally, after some rounds, the mentalist is not only able to correctly deduce the correct hand where the coin is hidden, but also reads the participant's mind by divining the exact item! - Nothing is ever written down or said by the participant. - No stooges, pre-show or dual reality. - Only one card is used. Every MindSight book comes with a card to perform D.M.M. on stage; it's 100% plastic and extremely durable. An additional plastic card is included for a close-up version of D.M.M. The actual card looks like it was taken from the "official 20 Questions board game" as to not raise any suspicions amongst the participants. It's completely justified and fits perfectly well into the context of the effect. - Any Mindreaders in the Audience? The mentalist displays 5 ESP Cards. The spectator chooses mentally one of them (no forces). The mind reader asks her two questions that are never answered verbally... yet he is able to read her mind and divine the correct symbol every time! - No need to use actual ESP cards, they can be drawn (by the mind reader) or simply mentioned. - Nothing is written down or said by the spectators. The mind reader mentions several emotions like Love, Hate, Happiness and others, explaining how as individuals we're able to connect and relate more powerfully to some of them. The participant thinks of an emotion he actually felt few days ago. The mentalist is able to correctly deduce the emotion by reading the participant's mind! This routine is pure power; it may be ended as guided visualization, or as a "mini" hypnotherapy routine in which the spectator claims to feel way better about a situation that was bothering him or her. The entire audience is asked to close their eyes while they start to visualize the properties of their own zodiac sign, focusing on several of their personal traits. The mentalist then invites a male spectator - chosen at random - to come upstage. He openly asks a question to the participant, who never replies it verbally. Yet, the mind reader is able to call out loud his correct zodiac sign, almost immediately. As a final kicker he's even able to give a reading of his entire character (which is 100% accurate) ...and finally reveals his name! 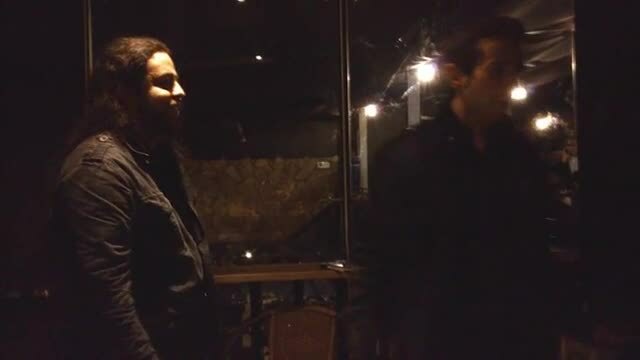 Andreu will explain for the first time, one of his personal approaches to the "which hand" effect, as well as his take on the binary principle and its variations (base 3 and base 4) applied to several of the included mentalism routines. After you've read MindSight, you will be able to adapt these systems to your own effects. 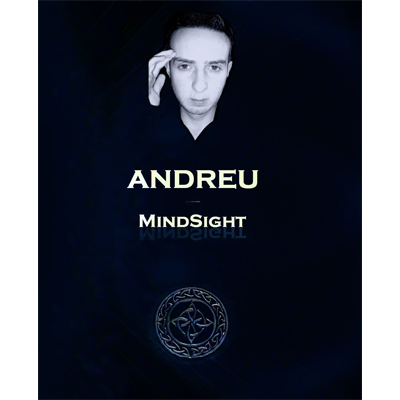 Read Andreu's personal thoughts on mentalism, mindreading and performing in general. It contains his perspective on how to make your mentalism look as real and powerful to the eyes of your spectators, his personal take on the propless philosophy of mindreading, defining your character and creating original ideas and routines. 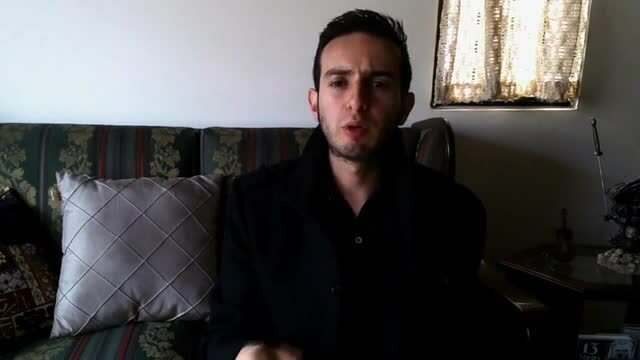 "Andreu has taken the binary system method to another level. He puts his own spin on this type of system and gives you very unique presentations and ideas. I'm sure many will fall in love with his SentiMental and D.M.M. routines. There's wonderful thinking behind all these ideas." "I have just read Sentimental, an effect from MindSight by Andreu. We are always told that we need to connect with our audiences emotions. This effect is TOTALLY emotion driven, from premise to presentation. A participant is asked to re-live a strong emotion that she has experienced in the last few days. She is then lead through a visualization process. At the end of which the performer reveals the exact emotion concerned. Nothing spoken, nothing written down. SentiMental is sort of two effects used together to achieve the desired result. It will require a knowledge of a fairly basic mentalism classic, but with that in place you are ready to get into someone's head. This is the perfect vehicle for cold reading should that be your thing, though it's not necessary. Andreu gives mentalists what they most desire: an effect which is technically simple but hard hitting, leaving plenty of room for each performer to make it their own piece. If SentiMental is representative of MindSight as a whole, then it promises to be a very good book indeed." "Andreu is a genius at taking separate principles and combining them together to make an entire new system, his mind is like a computer in the way it works, taking binary systems to a whole new level. 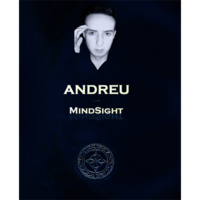 Mindsight is the brainchild of Andreu; his system will let you divine anything from simple objects to zodiac signs, emotional states of mind, and much more." - Ulises Galeano - "The Oracle" Psychic Entertainer. MindSight takes mentalism to a new level, with new methods. This is nothing that you are used to see, this is NEW. I was left impressed with the well-taugtht effects and the incredibly use of the binary system. With no doubt, you should get this book and experiece it by yourself! Five stars. At first I was a bit wary about the book, given that it's Andreu's first Mentalism book in paperback format and I hadn't read similar material before. As a performer I constantly strive to refine my show with better and better ideas. This actually encouraged me to give MindSight a chance and read it. Weeks later, after studying the systems, I found myself creating, developing and adapting several of the explained book approaches to ideas I had thought of before. The routines can be easily adapted / combined to work along with several Craig Filliceti's products (Evo / MD, just to mention a few) I already own. The main routine (Direct Mindreading Masterpiece) is worth the "admission" price. It works amazingly well with my Sixth Sense 2.5. But the best of all is you don't even need an actual coin to perform this amazing mindreading feat. After combining several approaches with DMM, it has become a main part of my repertoire for stage shows. As an opener it's an ultra-powerful, dynamic and engaging way to captivate my audience attention. There is a version with 4 spectators, it works like a charm and I'm actually making use of this one. Andreu credits Derren Brown for inspiration on this routine, and it definitely feels like something he would actually perform on his shows, based on his body language reading skills. After performing several of the routines, the results are simply astonishing. Generally, after my show ends I get from 5 to 10 spectators to ask how I developed the "gift" of being a mindreader. This talks by itself about the quality of this release. Although MindSight relies on the binary principle, the effects contained are brilliant and the best of all are the provided approaches to suit your personality as a performer. You will find some very useful ideas if you're into Mentalism, if not, you may go back to your sponge and balls. MindSight is for serious performers of the art, dedicated to read and study. As the outcomes are surefire then the result is well worth the effort. MindSight is a very inspiring book, from a very creative author. this book for some reason past very unnoticed for reviews here at penguin ,this is a great book to learn from ,other forums praise this book .so give yourself permission to be amazed and get it. Mindsight by Andreu is by far my best purchase of the year. Effects presented by Andreu will give you the best reactions you can get from your spectators, because they' ll really think they witnessed something amazing- and most important- something REAL. Every effect is based on ingenius principle which personally gave me so much ideas and "aha" moments. And it' ll give you something that I think is most important in this book- freedom to create your own effects. You can apply this principle to virtually every effect youre performing. ANd it can all be done billetless! And the best part is that its risk- free, works 100% which I love because I dont believe in "be bold, take risk everytime" approach in mentalism. Gimmicks are very well made, and book is easy read. Also Andreu offers a lot of variations of presentations and methods of accomplishing desired effects which i found very helpful and informative. If you want to get new, groundbreaking and billetless mentalism, this is the book for you!